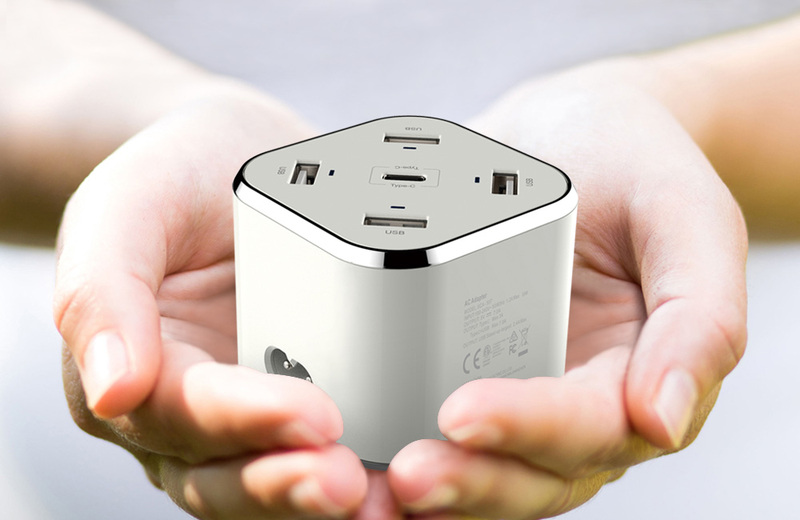 Huntkey, a global leading provider of power solutions, has released a new USB power station with cubic and portable size called the SmartC. Equipped with 4 USB-A and 1 USB-C ports, it is able to intelligently and fast charge 5 devices at the same time. In order to keep abreast with the latest USB-C charging trend and pace, Huntkey has come up with yet another USB-C product intended for global use. It is specially designed with a pocket size for easy carry, measuring 63.7 mm long, 63.7 mm wide and 54.6 mm high, which is even smaller than the Rubik's cube. It is ideal for those who love to travel as light as possible since it can be carried in one hand. The SmartC also boasts of intelligent and fast charging technologies. It uses a reversible USB-C connector to deliver a much faster charging speed compared to older USB types. To support a wide range of devices charging, it can automatically output different currents according to the devices' needs. To ensure product safety, it has been strictly tested to meet stringent protection requirements, including OCP (Over Current Protection), OHP (Over Heat Protection) and SCP (Short Circuit Protection). 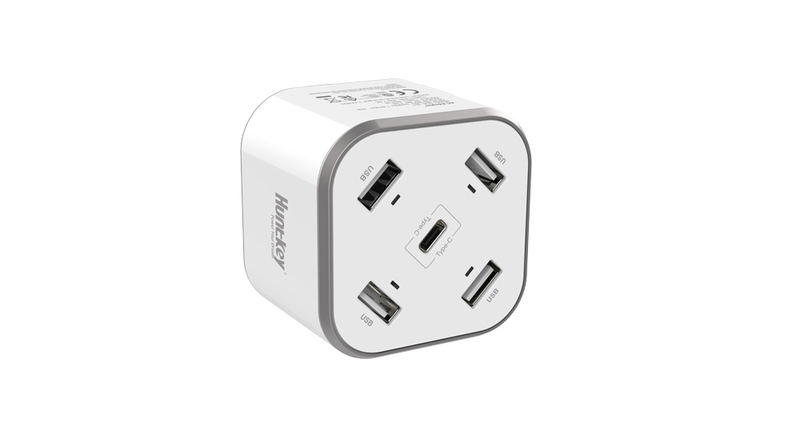 Worldwide availability has begun but different standards of plugs are available in different countries. For more product information please contact local Huntkey retail stores, or visit https://en.huntkey.com/.